In 2013, Angela Sorenson (not her real name) was preparing for her third marathon of the year. She’d stepped up her training schedule recently, trying to get her time back down after having to take several weeks off to recover from a stress fracture in her foot. Early morning runs and evening workouts had pared her social life down to nothing—and she didn’t have much time to stop for meals, either. Most days she found it easiest to skip breakfast, grab a yogurt for lunch, then eat something quick and easy before collapsing into bed at night. The week before the race, Angela was just hitting her stride during a twelve-mile run when a sickening pain shot up her leg. She collapsed to the ground, clutching her shin. Even before heading to the ER, she knew what was wrong: She’d fractured her tibia, and it would be weeks or months before she could return to running again. Angela’s injury falls into a pattern that’s grown increasingly common among women athletes: what researchers have termed the Female Athlete Triad. This condition consists of three interrelated factors: low energy availability, menstrual irregularities, and low bone mass. It affects women in every sport and of every age, and if not recognized and appropriately managed, can lead to long-term health consequences. 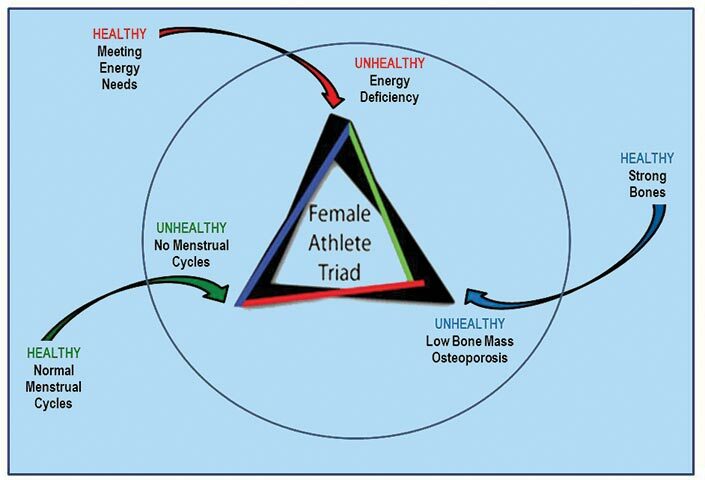 Could you or a friend be at risk for the Female Athlete Triad? We asked experts for their advice. Exercise burns through calories—and it’s no secret that many athletes, both male and female, want to achieve and maintain a lean physique. This combination of factors may lead to disordered eating, especially in sports where a low body mass is prized (Dr. Hoogenboom estimates that up to 50% of ballerinas suffer from eating disorders such as anorexia or bulimia). However, you don’t need to meet the criteria for an eating disorder to have low energy availability. This term simply means that your caloric intake is not enough to cover the energy you expend while exercising. Whether you’re scrupulously watching your diet or just skipping regular meals because of a demanding training schedule, it’s easy to consume less than you need or simply not to realize how much you need to eat to stay properly fueled. 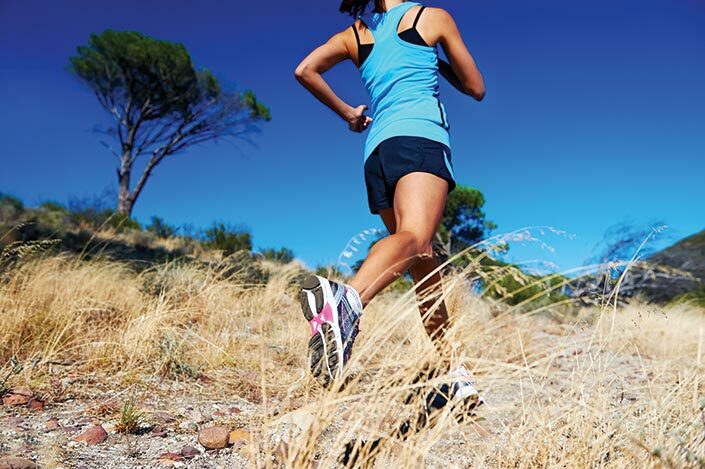 Female athletes are at particular risk of deficiencies in nutrients in addition to calories. Especially if you’re a vegetarian or vegan, your diet may be poor in iron, zinc, and calcium—all critical minerals for maintaining regular menstrual cycles and healthy bones. No annoying and potentially embarrassing periods? Sounds like a great thing to many women. But, as Dr. Hoogenboom points out, “Diminished or absent periods are a serious sign that something is wrong in the body.” Menstrual irregularities lead to reduced estrogen production, which in turn impairs bone health and increases the risk of fractures. “If you’re not using hormonal birth control and you haven’t had a period for three months, it’s important to be evaluated by a physician,” Dr. Hoogenboom says. Mothers of teenage athletes should be aware of their daughters’ cycles as well; it’s especially critical for young women to maintain healthy estrogen levels during their bone-building years. Even after you stop growing, your bones are in a constant state of turnover, breaking down old bone cells and replacing them with healthy new ones. 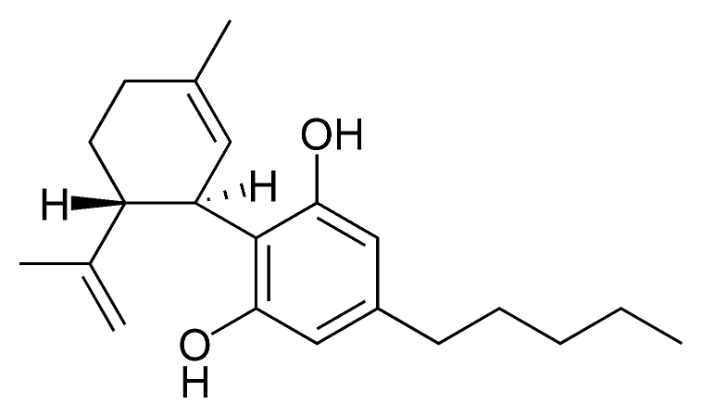 But in a state of chronic energy deficiency, the resulting hormone imbalances impair this process, leaving bones weak and easily broken. Frequent or slow-to-heal stress fractures and persistent shin splints are signs that bone damage is already occurring. Whether one, two, or all three signs of the Triad are present, the means of management is the same: “Good nutrition is the linchpin,” Dr. Hoogenboom says. Start keeping tabs on the calories you consume and expend and make a conscious effort to include plenty of calorie- and nutrient-dense foods. Pay special attention to your intake of iron, zinc, calcium, and Vitamin D. If you’re currently increasing your training intensity or entering higher-level competitions, consider consulting with a registered sports dietitian (not a “nutritionist”) for an evaluation of your eating habits. Despite the increasing number of studies demonstrating the consequences of the Female Athlete Triad, some researchers claim that the clinicians studying it do so to discourage women from engaging in sports.